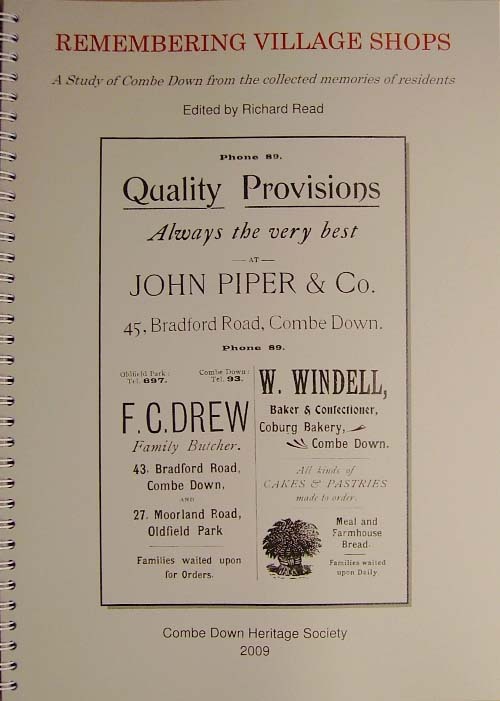 We are now the local source of books on Combe Down and as well as our own publications we sell many others. Click here for the price list. Please use the links below or to the left to discover more about the Society’s publications. …is a CD we publish showing a series of photographs of street scenes taken about a century ago linked with recent pictures at the same place.